Suppose you’re looking for a job, and you have two offers on the table. Company A has offered you a salary of $100,000, but you happen to know that the average salary there is $200,000. Company B is willing to pay only $50,000, but the average worker there earns only $25,000. If you prefer Company B, you’re not alone. According to a paper published in the Journal of Economic Behavior & Organization, more than half the respondents to a 1995 survey at the Harvard School of Public Health gave the same answer: They would rather make twice as much as their colleagues, even if it halved their actual income and buying power. This survey illustrates that in many cases, it’s not just what we have that makes us happier – it’s what we have compared to others. This is just one of the interesting discoveries being made in the relatively new field of happiness economics. While traditional economics focuses on how people, companies, and countries make and use money, happiness economics explores the different ways in which making or using money can affect our well-being. And while the old saying claims that money can’t buy happiness, these new economists are gathering evidence that, sometimes, money actually does make you happier – if you know the right ways to use it. Economists have always asked questions about the choices people make with their money. However, the focus on how those choices make people more or less happy began around the mid-1970s and has grown dramatically in the 21st century. A 2012 paper by the New Economics Foundation (NEF) sums up the major discoveries that happiness economists have made over the past 20 or so years. And, as it turns out, they’ve discovered that many assumptions people often make about money just aren’t true. Their discoveries have the potential to change the way you relate to money – earning it, spending it, and giving it away – and possibly even make your life happier as a whole. One of the most famous studies in the field of happiness economics was done at Princeton University in 2010, by Daniel Kahneman and Angus Deaton. The full text of the study appears in the Proceedings of the National Academy of Sciences. Kahneman and Deaton analyzed more than 450,000 responses to a Gallup poll that asked respondents questions about both their emotional state – that is, how happy they felt on a particular day – and their life satisfaction, or how close they thought their lives were to “ideal.” The researchers compared both these answers to the respondents’ income to answer the question of whether money really can buy happiness. Their findings were surprising: Emotional state and life satisfaction both relate to income, but not in the same way. People with higher incomes did feel happier on a day-to-day basis – but only up to about $75,000 per year. Beyond that point, having more money made no difference to their emotional state. However, their life satisfaction – their perception of how good their lives were – continued to climb along with income. In their report, Kahneman and Deaton offer several possible explanations for their findings. They suggest that raising income up to $75,000 helps people do things that make them happier, like staying healthy and spending time with friends. However, once they reach the $75,000 mark, they already have all the money they need to do these things, so making anything beyond that doesn’t help anymore. They also note that people making more than $75,000 could have work-related stress or other problems that balance out the benefits of the extra money. A 2012 article in The Atlantic offers another possible explanation: Some people who make more money move to richer neighborhoods, where they no longer feel especially well-off. Kahneman and Deaton also offer some ideas about why life satisfaction continues to increase beyond the $75,000 mark. They point out that people’s idea of how good their life is has a lot to do with their socioeconomic status – that is, how well they are doing compared to other people. So, even if making more money doesn’t make you happier on a day-to-day basis, it still gives you a feeling of being successful and important. The findings in the Princeton study suggest that, to some extent, happiness has less to do with how much money people make than with how they compare to others. This fits in with some other discoveries about money and happiness summed up in the 2012 NEF report. For instance, studies consistently show being unemployed makes people unhappy – but when those people live in an area with high overall unemployment, they are less unhappy about it. So, most likely, the unhappiness caused by unemployment isn’t just a result of lost income – it’s also caused by a sense that you’re falling behind compared to your neighbors. However, the report also notes that what might be called “overemployment” – that is, working too many hours – is just as bad for happiness as underemployment is. It says studies show that up to a certain point, working more hours makes people happier. In particular, people who work full-time are happier than those who work part-time. Beyond that point, though, working more hours makes people less happy, probably because it takes time away from other activities they enjoy. One thing about work that consistently makes people unhappy is the time they spend commuting. Numerous studies show that the more time people spend on their daily commute, the less satisfied they are with their lives. People who drive to work are particularly likely to say they find their time in traffic to be stressful. By contrast, people who walk or bike to work are more likely to find the trip relaxing. As far as happiness is concerned, then, the best job is one where your workweek is right around 35 or 40 hours – enough to be a full-time employee, but not enough to be stressed out from overwork. Ideally, it should also be one that’s close to where you live, making for a short commute – perhaps even short enough for walking or cycling. If you’re stuck with a longer commute, see if there’s a way you can make it by train, since that’s arguably less stressful than driving. As for your actual income, while you can’t necessarily change it, you can change how rich you feel compared to others. For instance, if you get a raise, think carefully before you decide to move into a more expensive apartment. If your current neighborhood is unsafe or unpleasant, leaving it may make you happier. Otherwise, you’re likely to feel happier being one of the wealthiest people in your current neighborhood, rather than moving to a new one where everyone else makes just as much as you do. How much money you make obviously impacts your happiness. However, other studies suggest that how you spend that money is nearly as important. For example, studies generally find that spending money on experiences creates more happiness than spending it on material goods. Anticipation. According to a 2014 report in the journal Psychological Science, you get almost as much pleasure from looking forward to an experience – say, a concert – as you do from actually going to the concert. By contrast, waiting for a physical item tends to make people feel impatient rather than happy and excited, according to an interview with one of the study’s authors in The Atlantic. In fact, researchers Elizabeth Dunn and Michael Norton, the authors of “Happy Money: The Science of Smarter Spending,” say that you get the most pleasure out of an experience by delaying it, so you can look forward to it as long as possible. Less Competition. Another reason experiences make you happier is that it’s harder to be competitive about them. Thomas Gilovich, another of the study’s authors, says in The Washington Post that people tend to compare their belongings to those of their friends and neighbors and feel disappointed if their possessions don’t stack up. For example, if one neighbor goes scuba diving while the other goes on a wine tour, it’s harder to say one vacation is better than the other. Adaptation. Gilovich also points out that people adapt very quickly to changes in their circumstances. This can be good when a change is for the worse, such as a pay cut or a health problem – but it also means that the pleasure from a new toy, such as a big-screen TV, doesn’t last long. However, Dunn and Norton note that it’s also possible to get used to experiences if you have them all the time, so they recommend saving your favorite experiences for treats. For example, enjoying a latte from the neighborhood coffee shop every Sunday makes it a special event, while buying one every morning is just part of the daily routine. Rose-Colored Glasses. Kumar notes that people can even enjoy looking back on an experience that wasn’t much fun at the time. For instance, if it rains through your beach vacation, your family may simply remember it as a bonding experience. That’s much harder to do with a product that proves disappointing, such as a new laptop computer that keeps crashing. Social Value. You can gain pleasure not just from having an experience yourself, but also from sharing it with others. Both Gilovich and Kumar note that other people don’t enjoy hearing about your purchases, but they do enjoy hearing about your experiences. So after you go on a long-distance hiking trip, you can talk about it with your friends and show them your photos, and that social interaction becomes a new source of pleasure. Another way to get more happiness out of your money is to use it to pay down debt. The 2012 NEF report describes several studies that show having debt makes people unhappy. When debt reaches unmanageable levels, it can even increase your risk of developing mental disorders, such as depression or anxiety. However, the type of debt does make a difference. People who have a high balance on their credit cards tend to be unhappy about it. By contrast, people who borrow to acquire something of value, such as a house, don’t see any drop in their happiness. A final way that you can buy happiness is to spend money on other people. 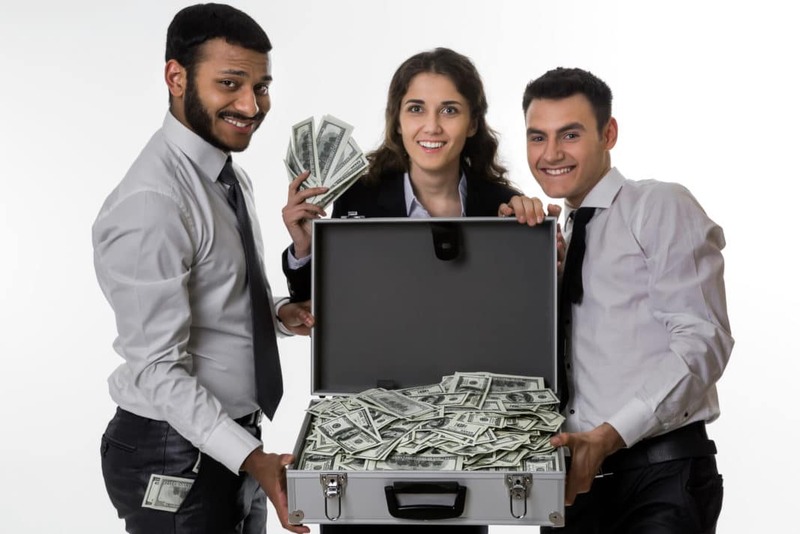 A 2014 article in Current Directions in Psychological Science, published by Dunn, Norton, and psychologist Lara Aknin, reports that “prosocial spending” – using money to help others – makes people measurably happier. Relatedness. Sharing money with others gives you a chance to connect with other people – which, in turn, makes you happier. This means that giving money to people you know personally (or at least know something about) feels better than giving it blindly. Clicking “yes” on the checkout screen at the pet store to donate to a local animal shelter doesn’t feel as special as going to the shelter yourself and seeing the animals your donation helps. Competence. People feel good about themselves when they see how their actions are making a difference. If you drop a dollar in the Salvation Army kettle at Christmastime, that feels okay, but it doesn’t give you much sense of what you’ve achieved with your money. However, if the Santa Claus standing next to the kettle hands you a flier telling you that the money buys clothing, food, and toys for families in need, you may get a feeling of accomplishment from your donation. Autonomy. People in general like to feel free to make their own choices. Charitable giving encourages that feeling, because you get to decide how much to give, and who gets the money. A Forbes video shows what happens when Dunn and Norton give two women $20 each and instruct them to spend it on someone else. It’s clear from the video that both women get a lot of pleasure from planning out creative ways to give away the money. Happiness economists aren’t just interested in how money makes individual people happier – they also explore the ways it can affect the happiness of entire countries. They study the data from worldwide surveys, such as the Gallup World Poll, to find out which nations of the world have the happiest people, and then try to figure out what those nations have in common. National governments can draw on these findings to steer their public policy in directions that boost the overall happiness of their citizens. Each year or two, the United Nations publishes its World Happiness Report to sum up the latest findings on the happiness of countries and discuss what they mean for national governments. The NEF report also contains some useful findings about how money relates to happiness on a nationwide scale. Wealth and Happiness. It seems logical that wealthier countries would be happier than others, and the NEF report shows that this is generally true. However, it also notes that wealthy countries generally have other things going for them that tend to make people happy, such as democratic governments and strong social networks. Take away those advantages, and rich countries aren’t all that much happier than poor ones. Counterexamples to the Easterlin Paradox. Although many studies back up the Easterlin Paradox, there are also some examples where it doesn’t hold true. For instance, in Italy and Japan, economic growth has been matched by increasing happiness. Moreover, recent research by Norton and Jan-Emmanuel de Neve, as outlined in this column at VoxEU.org, shows that happiness does drop when a country goes into an economic depression, such as Greece in 2008. So, while good economic times don’t always make a country happier, bad times definitely make it less happy. Effects of Public Spending. Another point noted in the NEF report is that people tend to be happier in countries with higher levels of public spending. However, results aren’t completely consistent on this point. While studies generally show that countries with stronger social safety nets have happier people, at least one study found no correlation between the two, and one found that strong unemployment benefits actually reduced happiness. Effects of Inequality. One more controversial finding is that higher inequality in a country usually means lower happiness. Here, again, the results are mixed – inequality is more strongly linked to unhappiness in some countries than others, and in a few, the relationship actually seems to be reversed. At least one study suggests that “perceived social mobility” has a lot to do with how willing people are to put up with inequality. They don’t mind as much having a large gap between rich and poor if they think that they personally have a good chance of moving up the social ladder. Since standard economic measures like gross domestic product (GDP) don’t measure happiness, researchers have developed a variety of tools for comparing nations that take other factors into account. For instance, the Genuine Progress Indicator (GPI), developed by the Center for Sustainable Economy and the Institute for Policy Studies, compares nations based on 26 different economic, environmental, and social factors, ranging from crime, to leisure time, to pollution. The Organisation for Economic Co-operation and Development (OECD) has produced an interactive tool called the Better Life Index, which compares countries based on 11 factors, including health, housing, and jobs. Visitors to the site can adjust each factor by hand to see how countries stack up in different areas. Clearly, the question, “Does money buy happiness?” has no simple answer. It depends on how much money you’re talking about, how you intend to use it, and what exactly you mean by happiness. However, one thing that happiness economics definitely shows is that money isn’t the only key to happiness – and the more money you have already, the less important it is to have more. So the next time you have a decision to make about money, take a moment to consider what can actually make you happiest, rather than just thinking about what will be best for your bottom line. Because that’s the real bottom line. What’s the best decision you’ve ever made about money? How did it make you happier?